Solo international traveling with one hand has it’s own flavor. Disabled traveling has an entirely different set of concerns, considerations, and contemplations. 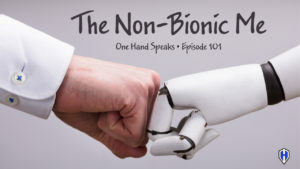 Carrying my bags, safety and security, and managing my objects are just a few of the topics I cover in this uniquely crafted podcast about one-handed traveling. 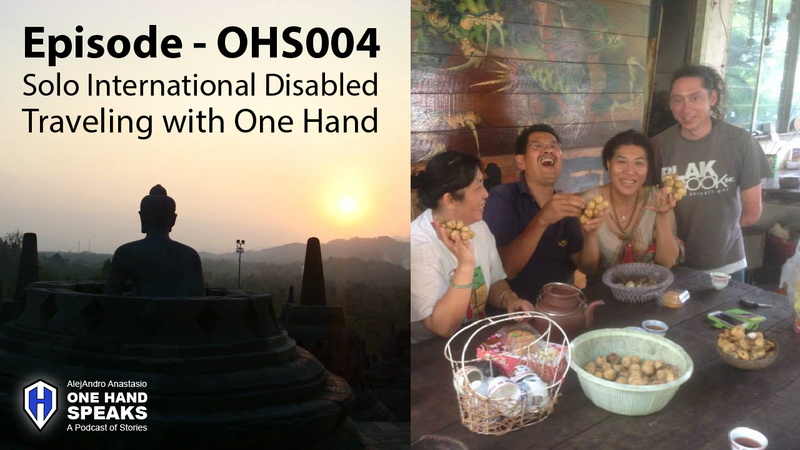 One of the attributes that makes disabled travel so interesting is how different cultures perceive me and my body. I get different looks and reactions to my one-handedness based on the country and culture. Finland was a very different experience than Malaysia. What I really want to share is all the cool things I learned about myself as a one-handed human. Not to mention learning all these great insights into the life of a disabled traveler. 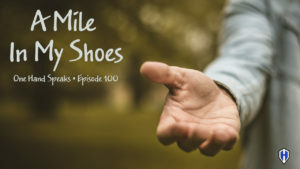 If you have one hand your are going to love this podcast. And if you have two or more hands I think you will find it both funny and educational. 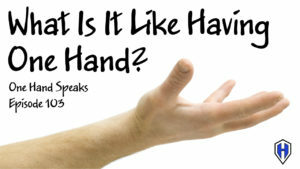 Talking about some of the quirks and considerations about traveling with one hand. Sharing experiences just getting on a plane. Examining how other cultures and countries perceive me as a one handed person. Security and safety as a disabled traveler. Life lessons learned from one handed international solo travel. Great topic! Thanks for the perspective and a lot of thoughtful ideas. Definitely helps me in preparing for my own international travel coming up soon. Always travel with the Spidey Sense! Hey Hey Hey Pamela, hope you travels were smooth and pleasant. Thanks for you reply and my deep apologies for the way late reply. I am glad you received something positive from my post. This Fall I returned from Tibet and China and have many stories to tell. Please send me a note to tell me where you went and how your superhero adventures unfolded. Thanks again and all the best. I am really inspired by your share. 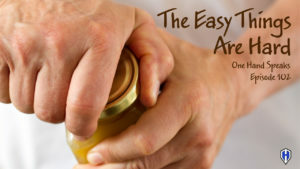 I always feel insecure that how can I manage with my one leg if I want to travel around the world but this article and its guidance will really help me. Hi Amanda, I am glad you got some inspiration from my article. I have written a few more about traveling and one on being inspired to travel by a female solo traveler at the age of 81. I must deeply apologize for my extended delay in responding. Please do not take it the wrong way. I hope you can get out there and travel with you leg. In fact, I know you can. There are so many things to do in so many different ways. Some extra advice is to start small. Maybe take a unique trip in the USA (assuming you live here) for a long weekend to see how you manage. This will help you understand your needs and securities. Most of the inspiration I have received to travel have come from women. So I hope I hear back from you with a travel adventure. Blessing and support to you. Hey Hey Hey, thanks so much for finding me on msm. I have posted a number of blogs and doing more podcast. Please come back for a read or a listen. Happy new year.